Winter weddings provide an extra sense of festive celebration, leaving you with so many options when it comes to picking your overall theme and colour scheme. Whether you wish for a traditional white winter wedding with a luxury marquee, or celebrating under a beautiful tent for a bohemian touch, we have stunning winter wedding ideas, for you. 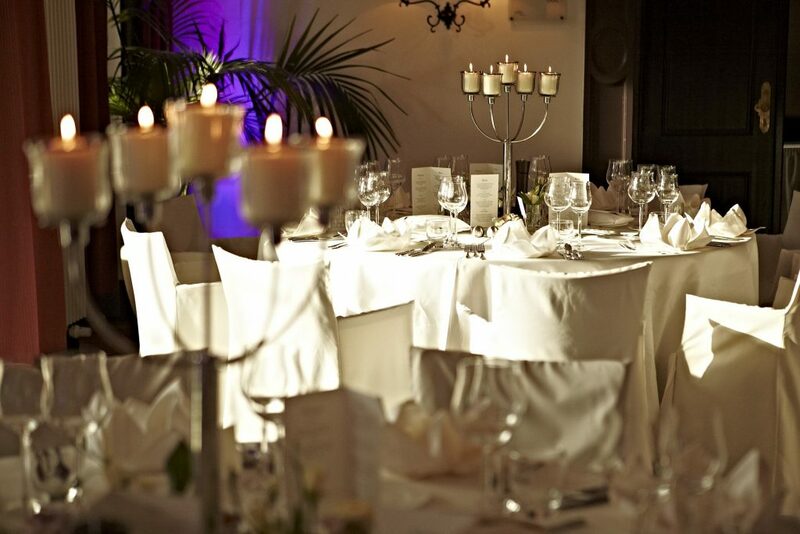 All white on the night – A winter wedding in synonymous with a white colour scheme and minimal pastel colours. Tinges of gold, silver and bronze are also subtle seasonal shimmers which can be added to table settings, flower arrangements and decoration ideas. These additions will capture the eyes of your guests and will be a perfect backdrop for your white winter wedding photos. Comfort, cosiness and a warmth. Just some of the connotations that come with winter can all be transferred into a winter wedding colour scheme. Bohemian wedding themes are a fantastic way to capture the essence of Christmas, with deep browns, golds and rustic elements throughout the day. The Savannah marquee package offers the space and bohemian ‘feel’, with the option to add accessories and lighting to suit the overall scheme. 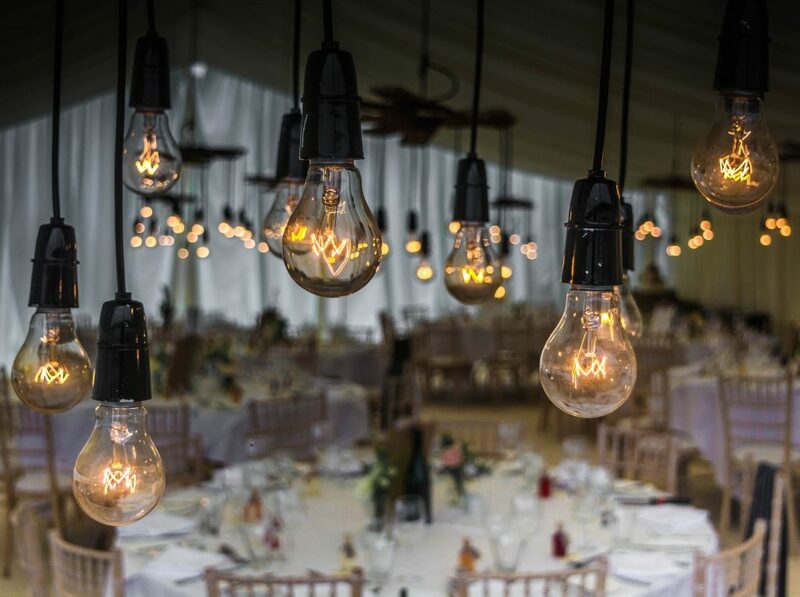 Regardless of the date of your wedding, lighting is crucial in creating a beautiful atmosphere from day to night. 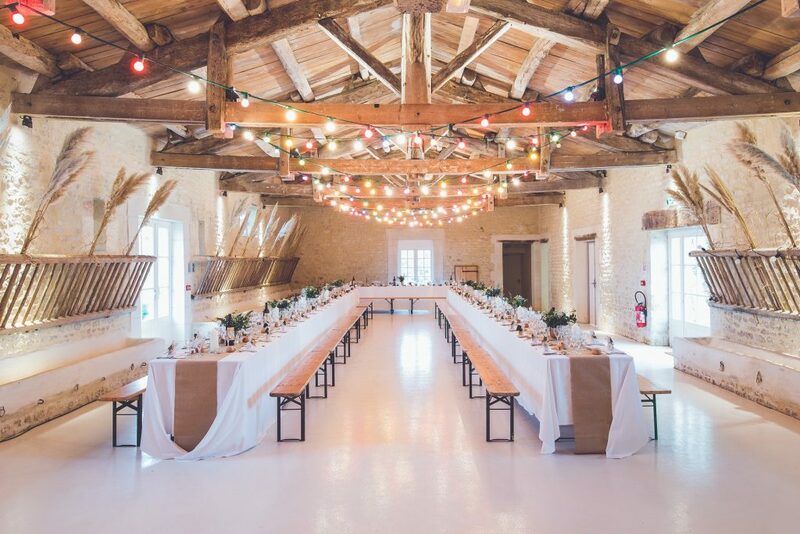 Look out for warm hues and different colours of lighting which can be found with wedding fairy lights and lampshades hung above the dinner tables and dance floor. Candles are a fantastic option in open spaces and outdoor winter weddings, but be sure to get the permission of the venue host beforehand. Winter weddings make way for winter temperatures, so making sure your guests are warm is a priority! Providing blankets throughout the day will make them feel a lot more comfortable and willing to fully embrace the celebrations! For outdoor spaces, consider heat lamps or fire pits if allowed, these are great places for guests to gather throughout the day and well into the evening. 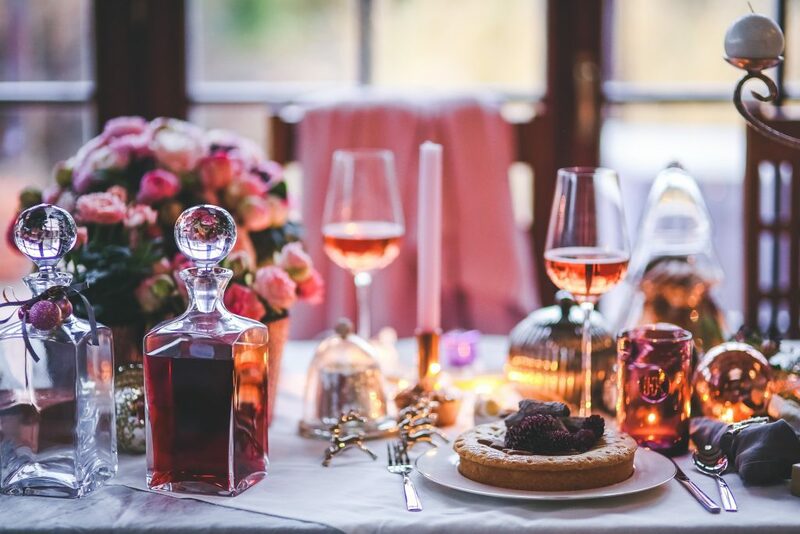 Winter is the perfect time to tuck into some of your favourite food and beverages with friends and family, and this shouldn’t stop at your winter wedding. Favourites may include mulled wine, hog roasts and fruity cakes and deserts, often laced with plenty of alcohol! Having a range of hearty winter warmers is a great way to celebrate your special day and incorporating seasonal favourites at the same time. Speak to your venue chef or specialist food and drink caterers to see what options they can provide. From Spring through to Winter, The Beautiful Tent Company can provide you with luxury marquees in Devon and Cornwall for your wedding. With a range of accessories available to hire, we can make your special day come to life, so make sure you contact our team today!